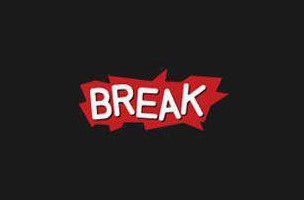 Previously, Break.com’s Facebook page had 273k fans, but 339k active users. You don’t have to be a fan to interact with the page, so being a “fan” is not as important as it once was. Likely, the fans are first to consume the content, who then activate others to like, comment, and share. These secondary interactions are key to the high engagement. The fact that people can “like” the content and also “like” the page is an intentional confusion on Facebook’s part. The unique reach of these 273k fans is 82,797,695 users worldwide. This is 303 friends per fan. Facebook has said that the average number of friends per user is 130. We know the average fan has 320 friends (since not all users are fans of pages). The 303 figure is actually surprisingly high, since the 82 million is a unique, unduplicated reach. Likely, the average break.com user has closer to 500 friends, since common friends are not counted in reach. Put another way, brands like WWE have 10 friends per fan vs 303, but they also have over 100 million fans. There are almost a billion users on Facebook, so break.com can reach 8% of them with social context (the friends of our fans). This 303 fan figure for break.com is the highest that we’ve ever seen. The engagement and virality figures later in this analysis corroborate this. In other words, Break.com fans are highly influential among their peers. Hard to determine how much is driven by the content itself or self-selection of who becomes a Break.com fan. Posts are up 43.3% and correspondingly, likes are up 37.2% and views are up 38.6%. We don’t see saturation at 4.27 admin posts per day. Break can probably post 10 times per day with no degradation in impressions per post or engagement, so long as the quality bar remains the same. Engagement rate of 18% is insanely high. Looking at most recent posts, red is low and green is high. The “caption this” post got 738 comments, largely because of the offered prize. “Fill in the blank” and “click like” posts get the most responses– and this 1/2 combo was most powerful. Technically, it’s against the TOS to administer contests outside of apps, but many brands do it and nobody seems to get busted. We are not saying brands should do this, however. Users are posting more videos relative to photos and statuses — unique compared to most Facebook pages. Then again, this is Break.com and the page itself is posting video. Photos get more impressions than other types of content, which is increasingly true because of timeline. It will be more true when Instagram is fully integrated, Facebook’s camera app gets more usage, and mobile continues to grow. Top posts are all photos, no surprise. The higher the emotional content, the greater the feedback. “Like this if you’re ready for a 3 day weekend,” had the greatest number of interactions (likes, comments, shares) for break.com over the last 30 days. And this post had more impressions than fans with 301,411 impressions. It reached 108,672 users, which is 40% of the fan base. Yet it had 2.79 impressions per post. When fans who see the post directly, their friends (many of whom are also fans) will notice. The 7,712 likes, 1,065 comments, and 690 shares all generated “stories” in the news feeds of friends. The 56 negative feedback actions is low at 0.6%. Under 1% is excellent. There will always be people providing negative feedback because of overposting or content they don’t want.